This breastfeeding top is perfect for any exercise, and can also be worn every day. Machine wash in cold, hang to dry. 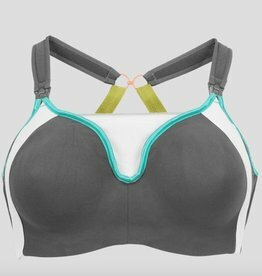 Finally, a functional and comfortable nursing workout top. I used it for yoga, lifting, and running and have been very happy with it. I'm tall, so finding tops for working out that are long enough is a challenge sometimes, and the Chloe top had plenty of length. If I could change one thing it would be the cinching mechanism, mainly because I didn't find it necessary as I liked the length.